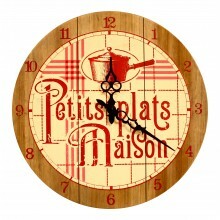 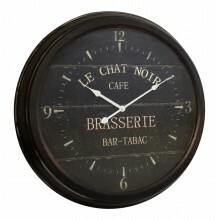 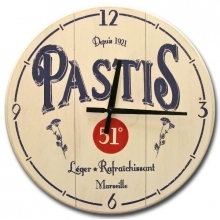 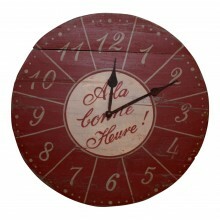 You will definitely love this green wooden wall clock. 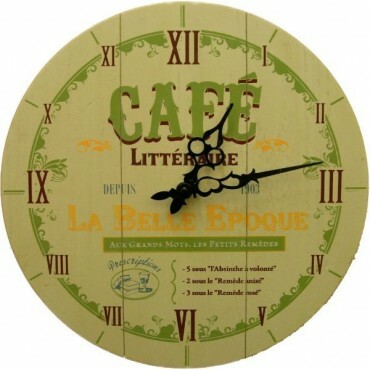 Green and Ivory, It is written Cafe La Belle Epoque. 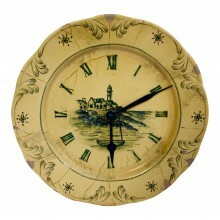 Its diameter is 14". 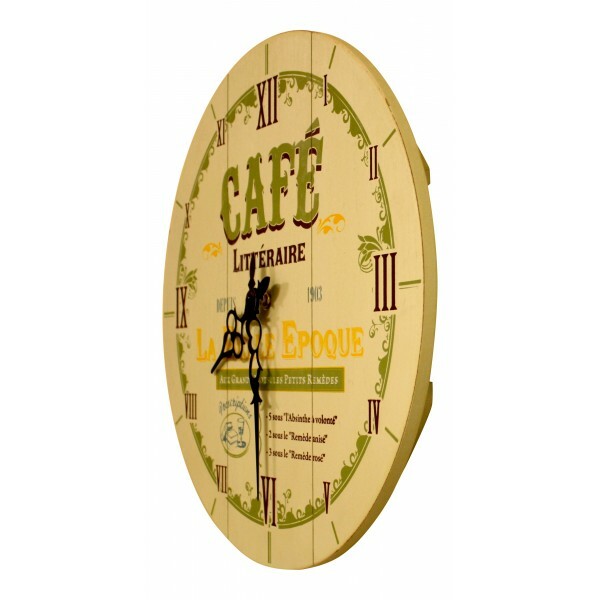 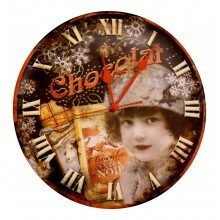 Ceramic Wall Clock, French vintage design "Bord de Mer", 10"
13 1/2" Wooden Wall Clock , French vintage design "A la Bonne Heure"
Metal Wall Clock, French vintage design "Le chat noir" , 22.5"